We don’t usually wake up early when on trips. Gone were the days when I’d dutifully set my alarm off an hour before sunrise; dragging my feet, my heavy camera and my still heavier tripod to the nearest body of water to shoot the first light of the day. Now, those times only surface when I find a really, really, really nice location for a sunrise shoot. 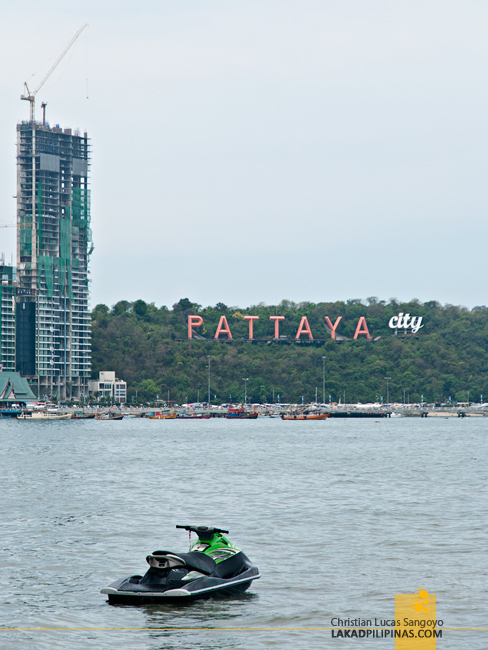 And during our two-day stint at Pattaya Beach, I didn’t feel the need to wake up early at all. 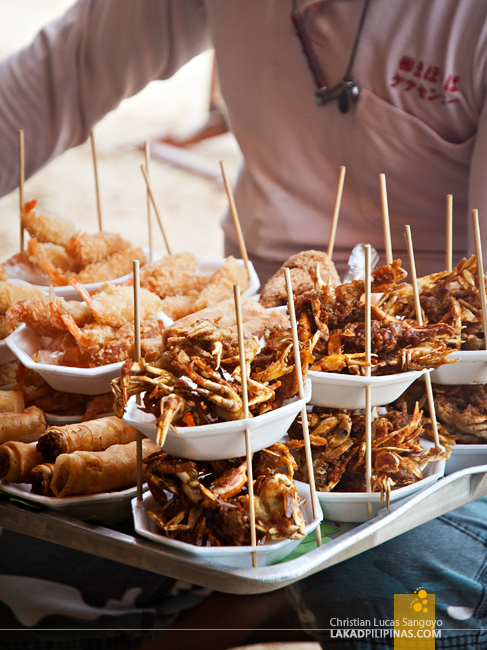 We were staying at the Bayview Pattaya Hotel, which was a few minutes away by foot from the beach, so we took our sweet time having our bacons and hotdogs before heading out. We’ve seen what the beach looked like yesterday, before we went to Mini Siam, and let’s just say that we’re really not that excited about it. 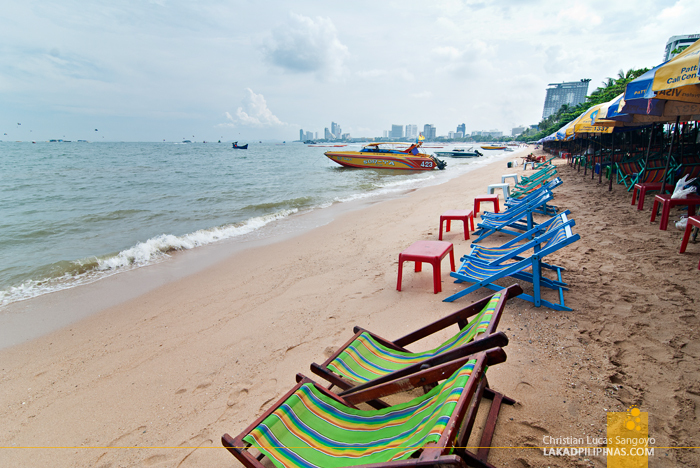 Pattaya Beach is a four-kilometer long, crescent-shaped white sand beach located a hundred kilometers off Bangkok. It was said that American GI’s discovered the place during the Vietnam War, on one of their R&R weekends, and has since catapulted it to its currently popularity. 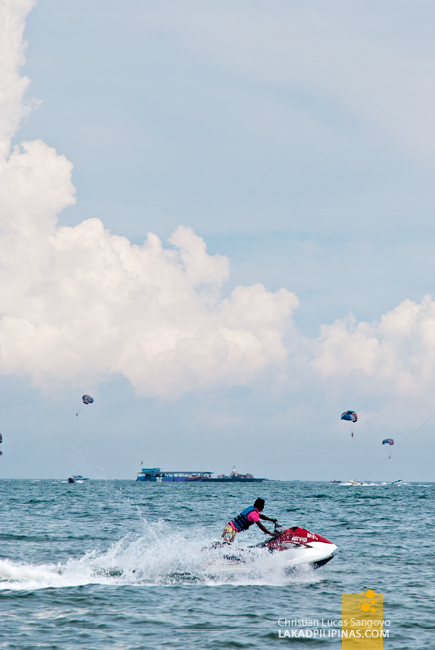 The area has now become a destination for those into water sports like parasailing, jet skiing and diving without spending loads of travel time from Bangkok City. We actually fall into that category. With limited time in Thailand, we really can’t afford to travel all the way to Phuket to have some beach time. But unlike most beaches we’re familiar with in the Philippines (well, except for Boracay), Pattaya Beach is a very, very crowded and active one. 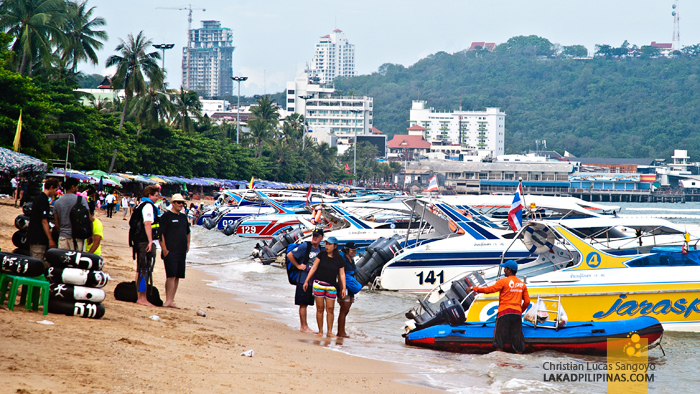 The water right beside the shore was lined with speedboats and jet skis. Then umbrellas and parasols rule just a few meters after that. And behind those is the beach road where tons of hotels, restaurants and what-nots converge. 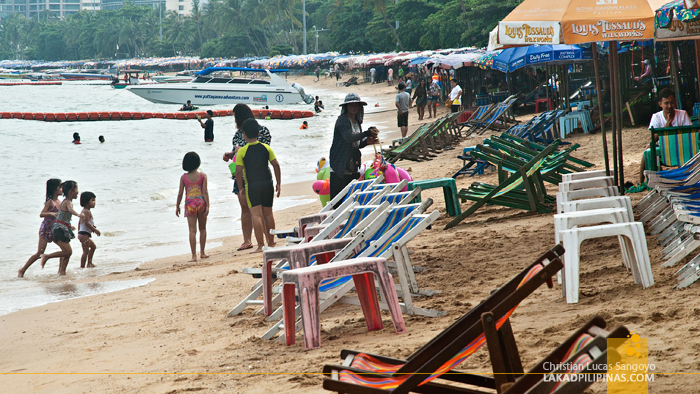 It was quite similar to Phuket’s Patong Beach, but I find Pattaya’s much more cramped. The water during our visit was light-bluish in color and my travel mates were not really interested in dipping even for an iota of a second. They said that the water was murky and the sand wasn’t as fine as those back home. Well, the sand was okay, but yeah, the water’s quite murky. Filipino’s have terribly high standards when it comes to beaches, eh? So what else do you do when you’re on the beach and don’t have any plans of swimming? 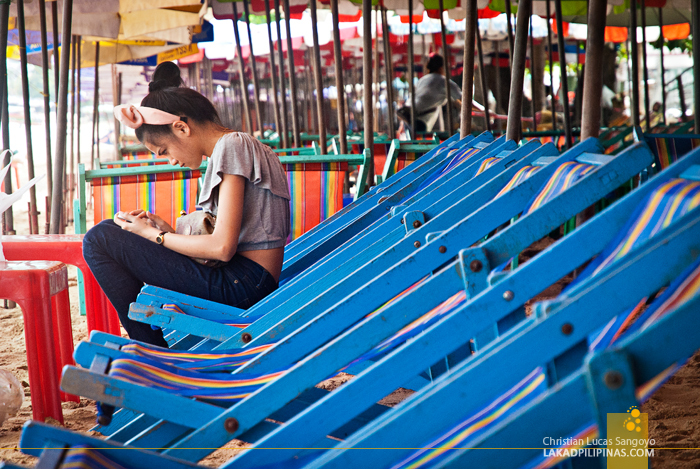 We rented four beach recliners with parasols, bought bottles of Chang beer, hailed the street food vendors roaming the area for some snack to go with our drinks, watched the people enjoy the beach, and simply lounged for hours on end. And that’s all we did at Pattaya Beach. soft crabs? pangit nga raw beach dyan hehe. 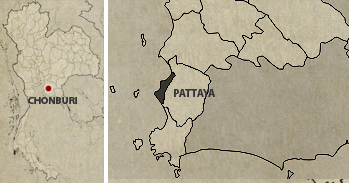 Swimming in Pattaya beaches is never a good idea. You'll be itchy for days afterwards.